Since 1969, Bill White Roofing and Specialty has stood out among the roofing companies in Birmingham, AL because of our attention to detail and commitment to quality. 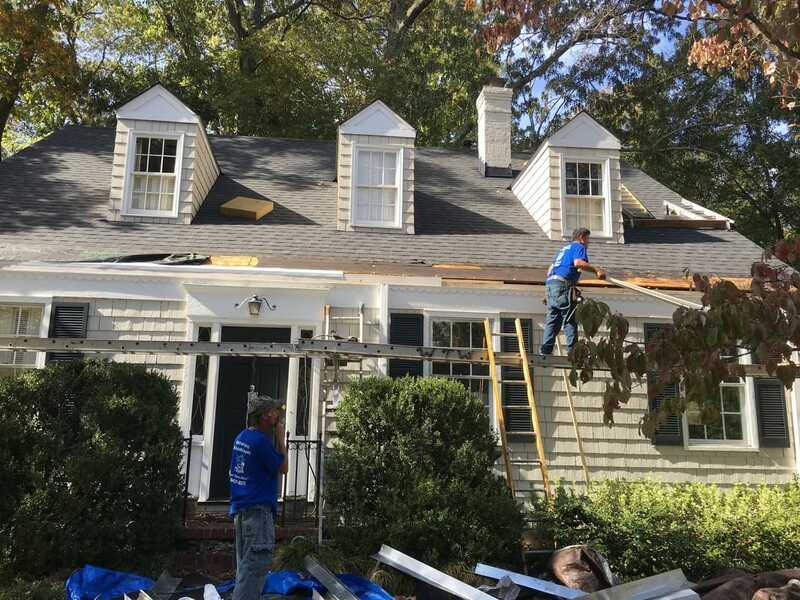 Led by Steve White, the son of founder Bill White, our experienced team of roofers is committed to ensuring every customer that their roof is safe, well-crafted, and well-maintained. 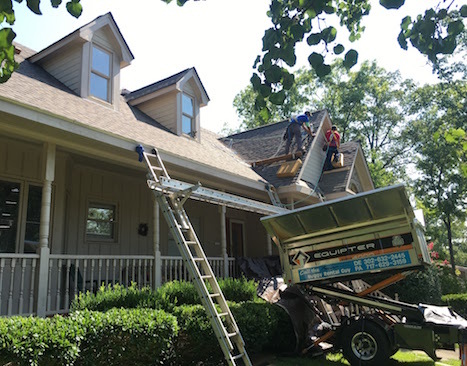 We take extreme pride in the quality of our work, and our work ethic and attention to detail make Bill White Roofing and Specialty a top roofing contractor Birmingham can really depend on. The roof on your home or business is the single most important part of the building. It protects everything else from the numerous weather elements we see here in the South, keeps pests and animals from entering, and helps to regulate temperatures by preventing cool or warm air from escaping the building. If you ever find yourself in need of professional roofing services, you have come to the right place! Not only has Bill White Roofing and Specialty been in business for over 45 years, but we have exceeded all of our clients’ expectations with our superior craftsmanship and dedication to excellence in everything we do. 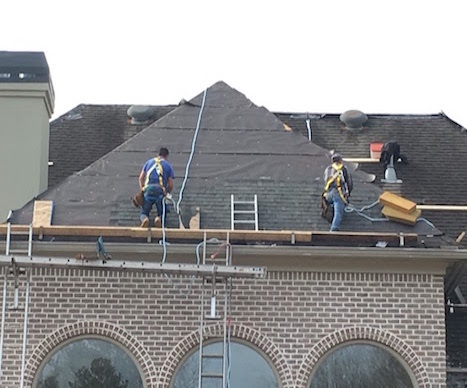 Whether you are remodeling or expanding your home or business, your shingles have been damaged by a severe storm, you have a leak in your roof, or it is time for a roof replacement, we’ve got you covered, literally. We started our business in Bluff Park, and our office is located just outside of the Hoover city limits, so we consider the Over the Mountain area our home. 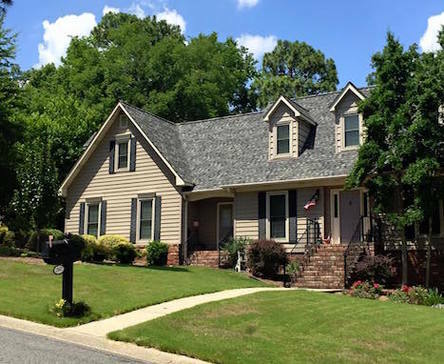 We provide roofing services to Vestavia, Hoover, Homewood, Mountain Brook, and all other cities around Birmingham, Alabama. We would love the opportunity to help secure your future with a sturdy and solid roof over your head. Call us for all of your roofing needs! 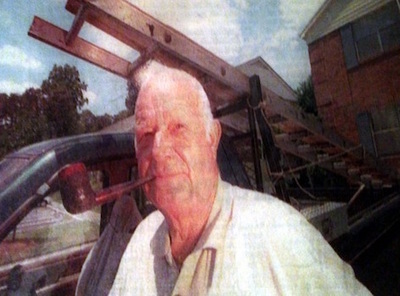 Bill White, Founder of Bill White Roofing & Specialty Company, Inc. If you’re in need of roof repair or a replacement roof, chances are you’re going to do your research on all of the top roofing companies in Birmingham. You don’t want to settle on just any roofing contractor because it is such an important job. 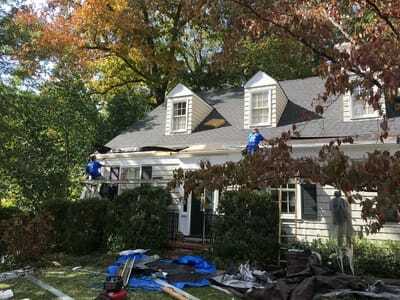 Every company will tell you why they think they are the best roofers for the job, but in reality, their work does not always reflect their words. Bill White Roofing and Specialty is a family owned and operated business that stands above the rest. 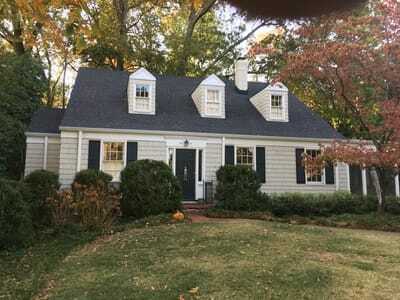 We have served countless families in various Birmingham communities with top-notch quality, careful attention to detail, and superior workmanship. 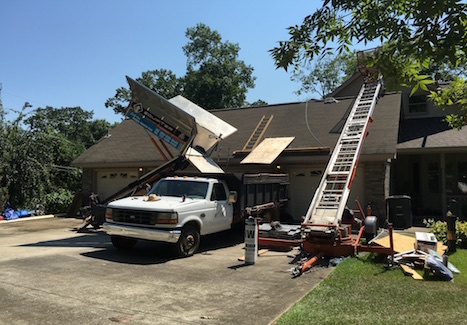 Just ask any of our previous clients and you will quickly learn that Bill White Roofing and Specialty is, hands down, a leader in the Birmingham roofing industry. You will always hear us say “your roof is our roof” and we really mean that. We treat each home or business as if it were our own, so you can rest assured knowing that the work is done properly and effectively. Here at Bill White Roofing and Specialty, our team goes above and beyond all of these characteristics. 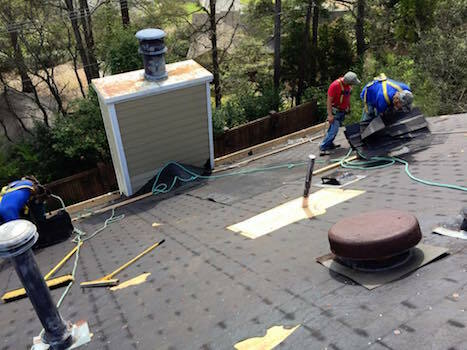 We work quickly and efficiently to restore your damaged roof, repair any leaks, or replace your old and worn out roof. ​We take the extra time to hand nail everything because that’s the type of company we are. Automatic nail guns might be the easy and fast way, but there is no substitute for the quality of hand nailing the components of your roof. Give us a call or fill out our contact form and let us know how we can help you improve your roofing situation. We take the time to inspect and reinforce every board on the roof deck, which is yet another testament to our commitment to quality. We’ve been in business for over 45 years, which means we know the ins and outs of the roofing industry here in Birmingham. If you have an issue with your roof, you want to be able to depend on a contractor who will take care of the situation correctly and in the best way possible. At Bill White Roofing and Specialty our two main focuses are complete customer satisfaction and the highest quality work that can be achieved. We will do an initial inspection on your home or business to determine the best plan for you, we will keep you informed throughout the process, and we even clean up after ourselves! 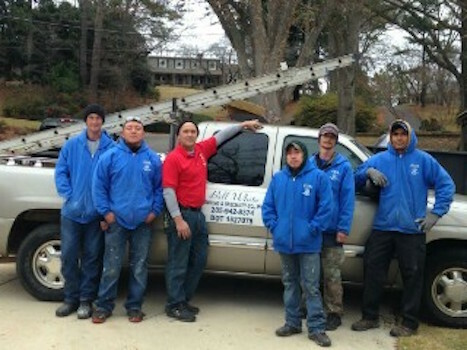 ​Our experienced crew works quickly but does not compromise quality when it comes to your roof. We use the best materials in the industry and state of the art equipment to handle all of your roofing needs. Whether you find yourself in a bind with a damaged roof after a severe storm or your roof is past its prime and needs to be replaced, one call to Bill White Roofing and Specialty and we will take care of everything. We’ve spent years fine-tuning our craft and our clients will vouch for us that we are experts at what we do. If you’re not sure if your roof needs any work done, that’s fine too. Call us or fill out our contact form and we will schedule a free roof inspection to determine if you need our services. 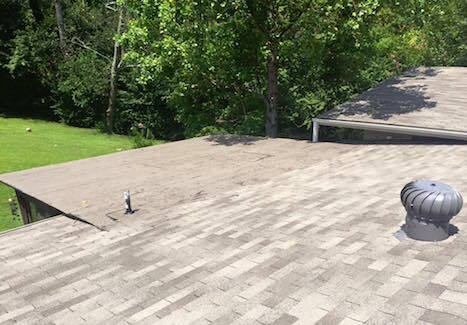 We really do consider your roof to be our roof, so you better believe that we will do whatever we need to do to make sure it is in tip-top condition. We are very grateful to be able to help other families and businesses in our community feel safe and secure with a good roof over their heads. Contact us at any time! Curled, cracked, or missing shingles: This means that your roof’s shingles are at the end stage of their lifespan and need to be replaced as soon as possible. Dark, dirty, or wet shingles: If they are trapping moisture, your shingles aren’t doing their job and there is more than likely an underlying problem. Coarse, black sand in gutters: Asphalt or composite shingles will lose their granules when they begin to wear out, making their way into your gutters. 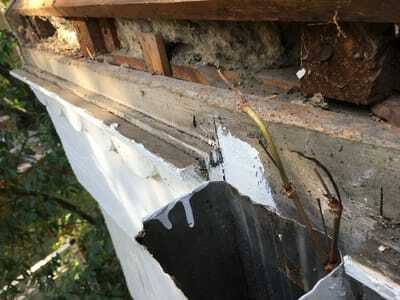 Deterioration around openings and objects: The areas around chimneys, vents, pipes, and other objects on the roof often become worn and damaged before the rest of the roof. Most times, these repairs can be confined to these specific areas. Peeling or blistering exterior paint: Moisture and humidity can build up near the roofline if your attic is poorly ventilated, causing the paint to peel and blister. Stains on interior ceilings or walls: Discoloration on walls or ceilings can be caused by various things, but it is definitely a sign that there is an issue with your roof that needs to be taken care of. Leaks in the attic: When people think of a roof leak, they typically picture water dripping from the ceiling into the living room or dining room. Be sure to inspect your attic after a rainstorm for any signs of a leak. Sagging roof deck: While you’re up in the attic checking for leaks, take a good look at the decking and rafters as well. If you notice they are sagging downward instead of straight, they could be wet from the moisture caused by a leak. Outside light in the attic: If you can see streams of light coming into the attic, water can come through those same openings. Check out our roof repair page for more information. If you notice any of the issues mentioned above, be sure to contact us at Bill White Roofing and Specialty right away so we can perform a full inspection of your roof and identify the cause of the problem. When constructed and maintained properly, a good sturdy roof will last around 20-25 years, and much less if it is subjected to severe weather elements on a frequent basis. 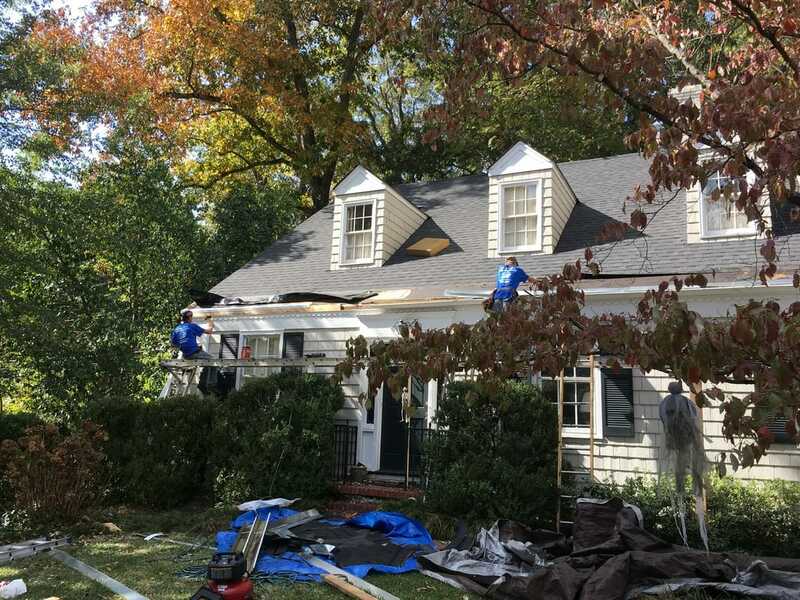 Whether your roof’s lifespan is coming to an end or it has become damaged beyond repair, Bill White Roofing and Specialty has years of experience with roof replacement in Birmingham and will be able to help guide you through the process quickly and effectively. Your new roof will be sturdy and solid from the rafters up because we use the highest quality materials, the best equipment, and we pay close attention to every detail of the project. 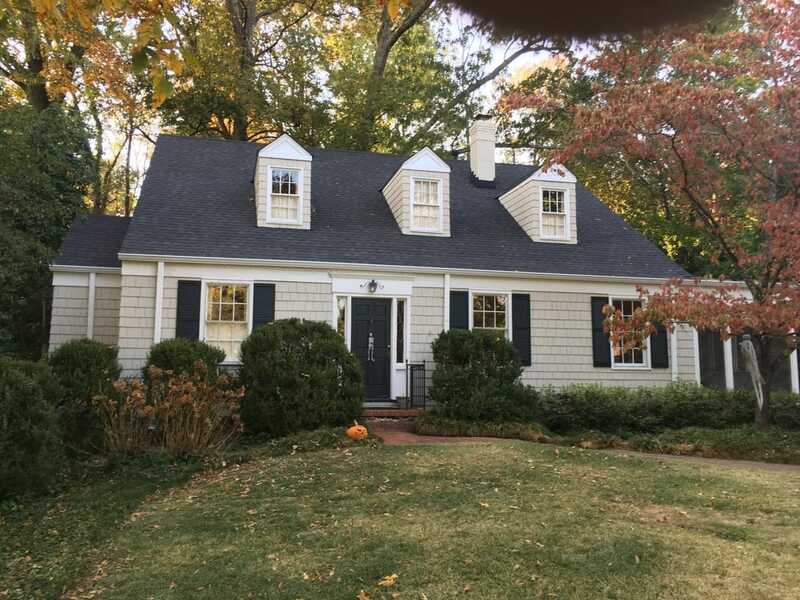 We will never place shingles over bad plywood and we hand nail everything, putting us at the forefront of Birmingham roofers when it comes to quality and craftsmanship. Why Choose Bill White Roofing & Specialty as Your Roofing Contractor? We’ve been in business in Birmingham for over 45 years, and we know everything there is to know about roofing. 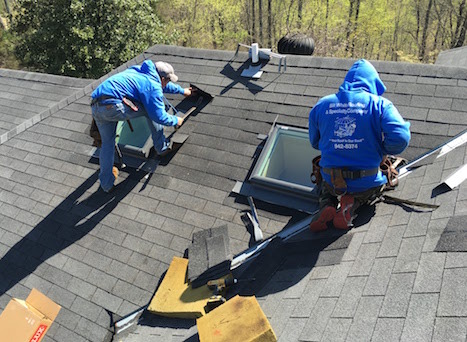 We are a family-owned business and we love helping other families and local business owners feel safe and secure with a sturdy roof over their heads. Steve White, the son of founder Bill White, works with his crew on every roofing project to ensure every step of the process is carried out thoroughly and effectively. We don’t cut corners when it comes to repairing or replacing your roof. Quality and customer satisfaction are our main focuses. We hand nail everything and guarantee that your roof is solid and secure for years to come. We are friendly and easy to get along with. We consider our clients part of our family, so you won’t have to worry about being just another number to us. We always say “Your roof is our roof” and we mean that. We will treat your property as if it were our own and we will produce the same quality of work as if we were working on our own home or business. For friendly service, high quality materials, and superior craftsmanship all at an affordable price, Bill White Roofing and Specialty is the best roofing contractor for the job. We are a Better Business Bureau accredited business with an A+ rating. Call us during business hours or fill out our contact form and let us show you why we are the leading roofers in Birmingham, AL.